An international team of experts has gathered in San Felipe, Mexico at the request of the Mexican government (SEMARNAT) and has begun a bold, compassionate plan known as VaquitaCPR to save the endangered vaquita porpoise from extinction. The vaquita porpoise, also known as the 'panda of the sea,' is the most endangered marine mammal in the world. Latest estimates by scientists who have been monitoring the vaquita for decades show there are fewer than 30 vaquitas left in the wild. The vaquita only lives in the upper Gulf of California. "Rescuing these animals and placing them in a temporary sanctuary is necessary to protect them until their natural habitat can be made safe," said Dr. Lorenzo Rojas-Bracho, lead vaquita expert and chair of CIRVA. "We realize that capturing even a few vaquitas will be very difficult, but if we don't try the vaquita will disappear from the planet forever." VaquitaCPR field operations, including efforts to locate and bring vaquitas into temporary sea pens, begin on October 12 and are expected to continue for several weeks. In an unprecedented move in April of 2015 that demonstrated Mexico's commitment to conservation, President Peña Nieto announced a two-year gillnet ban throughout the vaquitas' range, compensated fishermen and related industries for their loss of income, and enhanced multi-agency enforcement of the ban led by the Mexican Navy. In June of 2017, the ban on gillnet fishing was made permanent. The government also launched an extensive survey of the vaquita population using an approach that included both visual monitoring and advanced techniques that use sound to locate the animals. All told, the Mexican government has committed more than $100 million in an effort to protect the vaquita and support the local fishing community. "This critical rescue effort is a priority for the Mexican government and we are dedicated to providing the necessary resources in order to give the plan its best chance of success," said Rafael Pacchiano, Mexico's Secretary of the Environment and Natural Resources. The plan will be implemented in tandem with ongoing efforts to remove the threat of gillnets in the Upper Gulf of California and eliminate illegal fishing. A crucial part of CPR is the acoustic monitoring system that will help to locate the remaining vaquitas. This monitoring has been supported since 2012 by WWF and operated by the National Institute of Ecology and Climate Change of Mexico (INECC) to help estimate the vaquita's population, and will continue during the CPR operations. WWF will also continue supporting the retrieval of lost or abandoned "ghost" nets, many of them illegal, which drift aimlessly and continue to entangle and kill vaquitas and other marine species. Both the acoustic monitoring and the net retrieval are conducted with the help and experience of local fishermen. VaquitaCPR is led by Mexico's Ministry of Environment and Natural Resources (SEMARNAT). The National Marine Mammal Foundation, Chicago Zoological Society and the Marine Mammal Center are primary partners in this extraordinary conservation effort. "The international team of experts that have stepped up to save the most endangered marine mammal on the planet is extraordinary and a project like this has never been tried before," said Cynthia Smith, Executive Director of the National Marine Mammal Foundation. "VaquitaCPR is important because if this conservation model works, we may be able to use a similar approach to save other marine mammals that face extinction." "The rescue project is, quite literally, the last chance to save the vaquita," said Dan Ashe, President and CEO of the Association of Zoos and Aquariums. "We know and accept that the rescue plan is risky, but if we do nothing, extinction of the vaquita is certain. Zoos and aquariums have a proud history of working to save species from extinction, including black-footed ferrets, the California condor, the Florida manatee and the blue iguana. AZA and its members are proud to stand with the Mexican government and the VaquitaCPR coalition. Together, we will do everything we can to prevent the extinction of the vaquita." 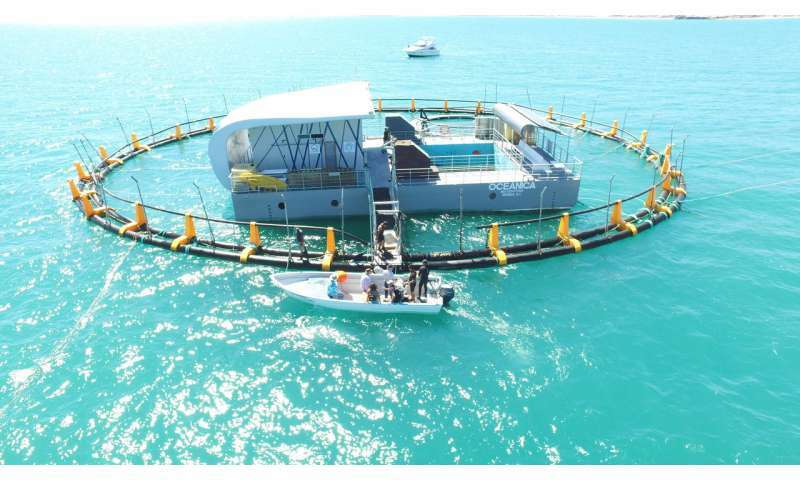 "Baja Aqua Farms believes strongly in the work being done to save the vaquita and we're so glad we are able to help," said Benito Sarmiento, CEO of Baja Aqua Farms. "Our communities all need to work together, not only to protect the wildlife in the Gulf of California, but also to support a sustainable fishing economy in Mexico that can continue into the future. The Museo de la Ballena's mission is to promote the knowledge, study and conservation of cetaceans. Since the museum initiated a conservation operation last year, its vessel has succeeded in retrieving more than 900,000 linear feet of 'ghost' and illegal fishing nets. The museum is providing key logistical support for the VaquitaCPR team. "The vaquita porpoise is a national treasure in Mexico and we are committed to helping save this species for future generations," said museum Operations Director Diego Ruiz. In order to make the Gulf safe for the vaquita in the future, experts agree it's important to prevent illegal fishing of the also-endangered totoaba fish and to support alternative economies for the fishing community. The plight of the vaquita continues to gain increasing international attention after actor Leonardo DiCaprio, Mexican President Enrique Peña Nieto and Mexican billionaire Carlos Slim signed an agreement committing Mexico to save the vaquita, identifying specific conservation goals. So sad! I donated here - I hope others will take action, too.